Take the conference home with the Complete Conference Audio CD Set! 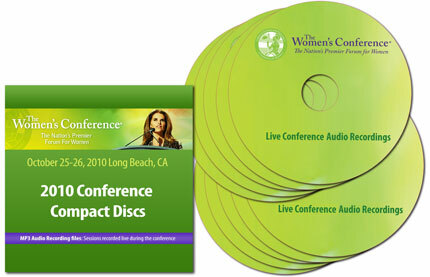 Live Audio Presentations from all recorded sessions from The Women's Conference 2010 on CDs. Live audio from presentations at the 2010 Conference.